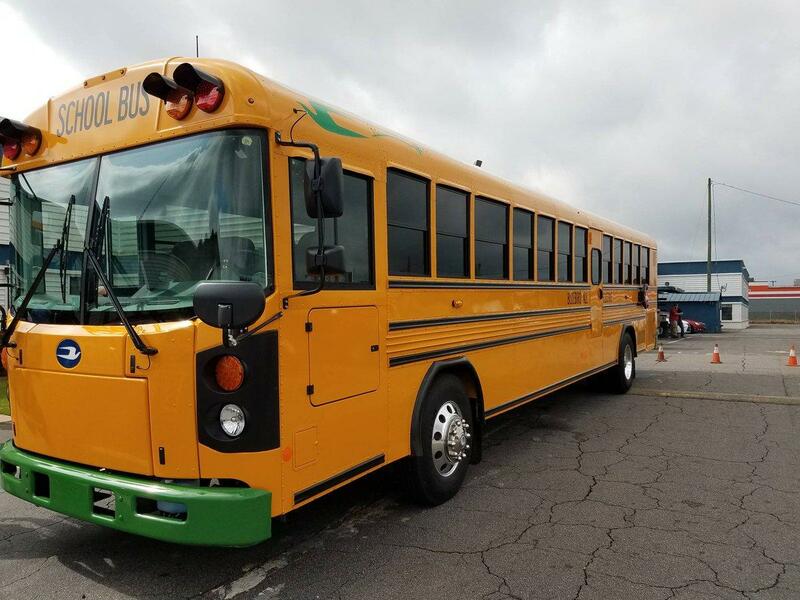 School bus manufacturer Blue Bird is showcasing their electric versions on a “Ride and Drive” road tour this year. Since beginning in California last January, they’ve traveled eastward toward New York and Florida. They’ll be accepting orders for their Type C and D bus configurations with deliveries coming as early as the beginning of the upcoming school year. The Type D bus that Blue Bird sent on tour is not a concept vehicle, but a real preview of what’s to come this fall. Last summer, the bus manufacturer debuted both types of electric vehicles at trade shows in Nevada and Ohio. To clarify, Type C and D buses are the most common you’ll find on the roads, the first being a “traditional” style and the latter being “transit” style. Blue Bird’s Type D electric bus features a 160 kilowatt-hour battery pack that holds a range up to 120 miles per charge. This is up from their proposed 150 kWh pack last year. There’s an option to downgrade to 100 kWh for buses with shorter routes. An option for vehicle-to-grid charging will be added to the electric powertrain by 2019, which could be used as an energy storage source when they’re not in use. Blue Bird’s first-to-market electric buses will feature the cleanest drivetrain in the industry, which is created through Adomani and EDI. Each bus will have a portable charging station, there will be little maintenance and service needed to keep the vehicles on the road, and there’s a seven-year warranty tacked onto the batteries. So far, Blue Bird has made trips to California, Nevada, Arizona, Colorado, and Ohio. It’s currently in New York and will make its next stop in Plainview before taking a long trek down the East coast to Lakeland, Florida. It’ll be in Ontario, Canada, for a few days in the middle of May before wrapping up at Nevada in July. 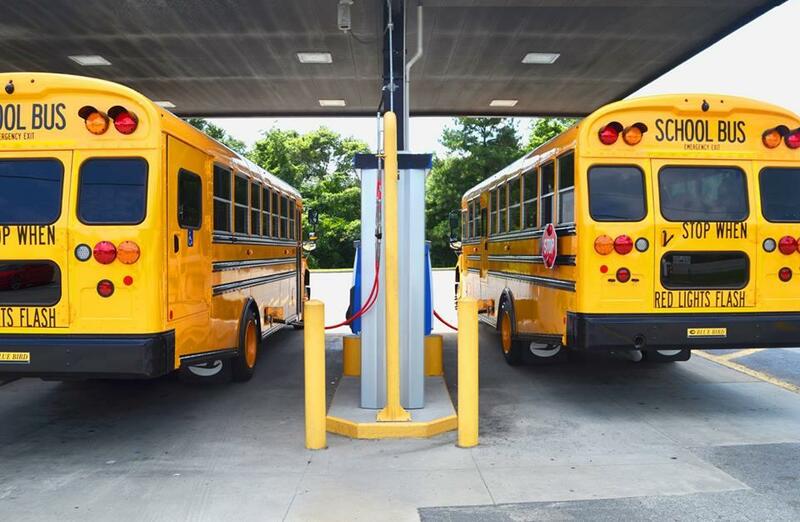 California and New York school districts will be seeing most of the buses first as they’re eligible for grants in those states. They’re qualified for the Hybrid and Zero-Emission Truck and Bus Voucher Incentive Project in California (HVIP) and the New York Truck-Voucher Incentive Program (TVIP).